If you’re planning to start a new e-commerce store this year, it’s vital to figure out how digital commerce has developed in the past 3-4 years. Not only e-commerce has become popular among mobile and social media users, but independent stores have also gained trust. In the last many years, AI or machine learning has become a vital part of the e-commerce industry. Although, it hasn’t reached a saturation point because tech giants like Amazon are forcing out anyone who’s trying to compete. Re-order & Subscription are two major features that offer a personalized experience to shoppers based on what they’ve purchased in the past. Ecom players are also focusing on offering customer support to offer a rich experience. Players offer live chat, telephone support and much more. Web stores are also offering gift cards, and digital wallet feature since customers are more and more getting the hang of digital wallets. An estimated 106 million Americans are moving towards non-traditional methods of banking to use something more technologically advanced, like a digital wallet (source: finder.com ). There is no doubt that mobile users have increased. But due to the long procedure like adding items to cart, selecting payment options, then entering card details, waiting for otp, then finally making the purchase. Typing on a smartphone is in a way harder than typing on the desktop. This is one of the reasons why conversions are low on smartphones. 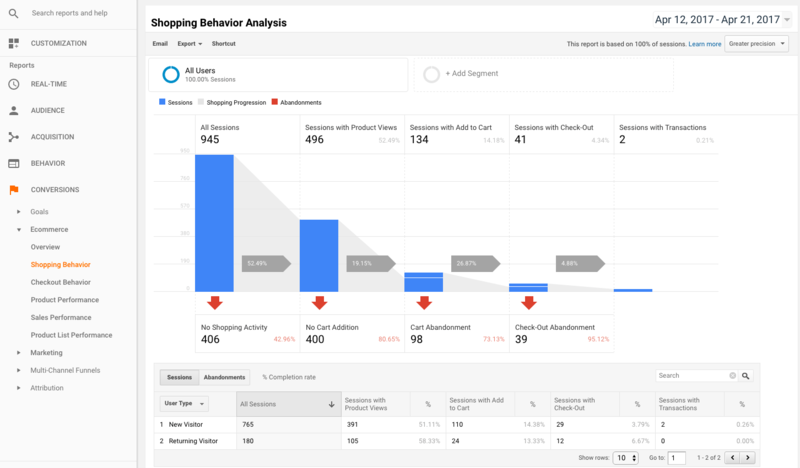 A built-in analytics system is must to have for every e-commerce website. If you aren’t collecting user data, you won’t be able to learn more about customer behavior, which in turn helps you increase your conversions. That’s why all companies care a lot about analytics and numbers. Keeping all these facts in mind, I’ve put together a list of the best e-commerce platforms. Shopify is a Canada based e-commerce solution that is aimed at helping online businesses across the globe. The platform focuses on mobile shopping and social selling. Started in 2004, the platform has focused on evolving consistently as per technological changes, and e-commerce trends. The platform has also done a great job in social media selling, where your potential customers can purchase without even leaving social media platform. A marketplace of plugins, themes, and extensions. You can start selling directly on Facebook with as low as $9. The shopping cart is mobile friendly and ensures maximum conversions. The sellers also get a mobile app to manage orders. They provide 24/7 support via telephone and live chat. They also have tons of tutorials on their platform along with their community forum. You’ll be paying commission on every sale if you aren’t using Shopify payment. Most of their extensions ( add-ons ) require further monthly investments. Another challenge is “liquid” which is Shopify’s very own coding language. If you want to make any strong customizations, you’ll have to pay an extra fee for customization. Entrepreneurs who’re just starting their online selling journey and need a normal store that they can use to sell their products can certainly find Shopify useful. The platform currently costs $29 to $299 depending on your needs. Here is an article that outlines how Shopify works. Magento was founded in 2008, but unlike other platforms, it is an open source e-commerce platform built for scalability and reliability. As of now, it is used by popular companies like Huawei, Pepe Jeans, Burger King, and liver pool F.C. More than 9k extensions available to ensure room for scalability. A wide library of new plugins, demos, store management extensions for your e-commerce store. The platform isn’t for everyone. If the owner isn’t a programmer or hasn’t a technical team behind him to help him, it can lead to a big mess. The price tag has to be put on notice. The basic version won’t cost you anything, but the enterprise edition costs around $20k annually. If you don’t have programming skills or have a team to handle it, you’ll have a hard time managing your store. If you have an enterprise level store with a large inventory of products, Magento will work fine for you. Although if you are a small business owner, you should consider using Shopify or other alternatives. Magento is complex and technical to manage. This platform is built keeping small businesses in the head. It is feature e-commerce store aimed at building multi-vendor stores like Etsy, eBay, and Amazon. A ton of e-commerce platforms also offer multi-vendor versions, but YoKart has offered a bunch of things to make it unique. After its latest update, i.e., Yokart V8, the platform now packs even more features. It allows multiple currencies and languages, making it possible to expand on a global level. They also offer multiple payment gateways, analytics, discount management, and rewards management. The owner gets the source code of its website along with a lifetime license. With dedicated apps for Apple and Android devices, it is mobile friendly. FAQs, detailed manuals, and video tutorials are available for merchants and owners. In built catalog system for the product. Due to the robust structure, if you wish to customize Yokart, you’ll have to hire a developer with good knowledge of PHP. Unlike Magento, the platform isn’t open source. It is focused on helping out small and mid-sized businesses. If you are small or mid-sized business, you’ll find that features you need are already there. Although, if you are big business, you’ll have to do some customizations. This software is most beneficial for small business owners. The most affordable package is priced at $250 and offers to host for one complete year. If you need to validate your business idea, this software can be perfect. Once you’re making enough sales, you can upgrade to advanced versions. Since the time it came into existence, it has more than 55k online stores running on its platform. The platform boasts its portfolio of clients like Toyota, Martha Stewart and more. For people who aren’t good in coding, the list of built-in features come very handily. A ton of inbuilt features, the list of which includes coupons, newsletters, tax, shipping, analytics, etc. A large number of responsive themes ensure a consistent user experience across all devices. Some of the themes are free, while some of them are paid. Available integrations with eBay, Facebook and Google Shopping. A ton of tutorial videos, detailed guides, setup wizard and visual illustrations to help you set your store and get it running. 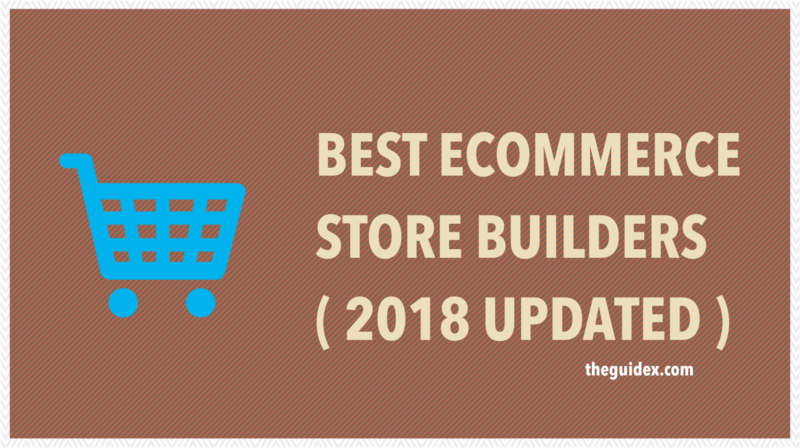 This is an ideal solution for people who want a top-notch store up and running but don’t want to handle hassles of integrating plugins, coding, or other technical hurdles. If you can get over the lack of free themes, BigCommerce is your go-to platform. Vertex comes from Brazil and is a cloud-based eCommerce platform. Their portfolio includes big players around the globe like Coca-Cola, Sony, Whirlpool, L’oreal, Staples, Lego, Wal-mart and many more. A unique feature that is provided only in Vtex is the “password-free checkout.” This single feature is believed to have helped them raise their online traffic by 30% to 28%. As I mentioned above, the platform is cloud-based, i.e., you won’t have much control of your stores. The company claims that being cloud-based makes store 68% faster than traditional setups. They’re selling SaaS model, which means you won’t ever have 100% ownership of source code of your store. The business that makes an annual turnover million dollars ( or above ) can certainly benefit from Vtex and can witness a dramatic increase in conversion rates. However, if you are a Small Business owner, you might not fit in due to their high charges. Woocommerce is a free WordPress plugin. There, I can already see you smiling! It needs no introduction in the field of e-commerce. The plugin even comes with its secure payment gateway that works well. The plugin is an open source and easy to use a plugin for those who’re familiar with WordPress. If you wish to create a multi-vendor store, you’d need to install one more plugin. You can add as many products you want or create unlimited product categories. If you don’t know how to use WordPress, there is going to be a learning curve. Although Woocommerce is free, integrating it with shopping cart requires additional investment. One important factor you need to keep in head is lack of scalability. Over the time, as your business grows, the products, customers, and sellers increase. All of this data is being fed to your database. This leads to your website getting slow over time. If you aren’t going to handle a large volume of traffic and have used or used WordPress, you can do fine using WooCommerce. Tictail has a different approach. It is sort of DIY marketplace that focuses on easy usability, community integration, custom design, and ultimately on how attractive the store can be. Retailers and fashion designers can get their stores up and running in minutes. You don’t need to require any special technical knowledge to get your marketplace up and running. You can add your custom domain to give a more personalized experience and get SEO benefits. If you are a startup and want to test whether your idea will work or not, this platform will be a good option to validate your idea. However, if you’re a large business ( or even mid-size), this might not be a good idea. No business would want their customers to be angry because of credit card theft. Further more, users don’t like entering credit card information on sketchy websites. Majority of the platforms would have maximum security measures in place like having an SSL certificate ( https ) for secure and safe checkout. The next thing you want to consider when you’re selecting an e-commerce platform is how much it is going to cost you. If you’re a startup or a big firm, you need to know how much it will cost you every month. Majority of the platforms would be charging a monthly fee. Depending on what platform you selected, costing will vary. You should also know procedure fees that’ll come along with the platform. Don’t purchase features you won’t need. One more thing that you need to look out for is how much add-ons or plugins are supported by the platform. Platforms like Shopify have tons of tools available that help you run your store flawlessly. You need to have a clear idea of what features do you need and which songs would be able to deliver those. SEO is going to be one of the prime areas where your business is going to spend money. Ranking for profitable keywords can open flood gates of traffic for your website. Ability to allow customers to leave reviews. Be it early morning, or late night, if you have someone to call at any given time to get things fixed is a great factor in selling online. Have a look at their customer service page to find out whether or not they give 24/7 support. How advanced their support is, and does it cost anything additionally? Every business owner or startup hopes and works to grow their business to the maximum in future. Although you might not know to what extent, but it is important to choose a platform that allows you to scale your business. Don’t pay for features that you won’t be using for the first couple of months. Pick a platform that offers upgrades so that you can choose them once your business takes off. No e-commerce platform can be a one size fits all. 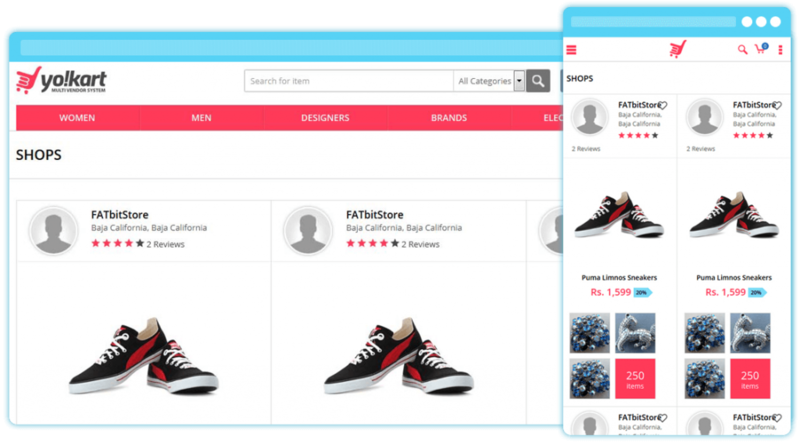 Each e-commerce platform is built to appeal to a segment of users. I’ve mentioned their cons and pros to help you decide whether the platform is right for you or not. The list will help you decide which one will serve your need best.